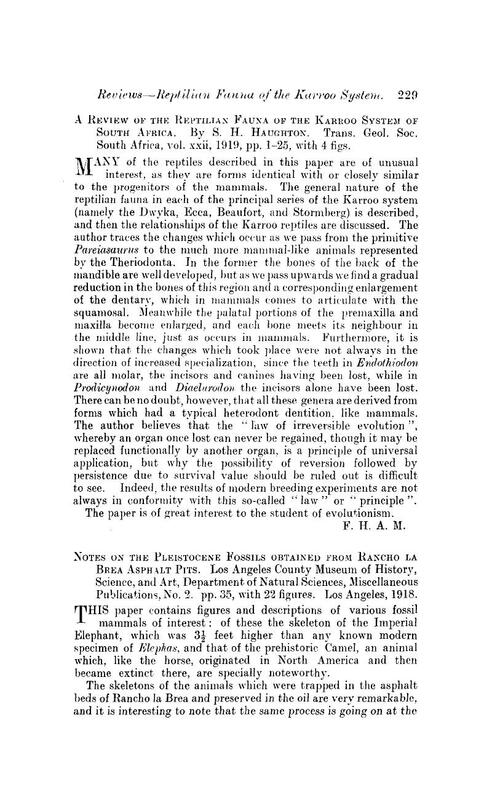 A Review of the Reptilian Fauna of the Karroo System of South Africa. By S. H. Haughton. Trans. Geol. Soc. South Africa, vol. xxii, 1919, pp. 1–25, with 4 figs.